Open to Both local and international readers! 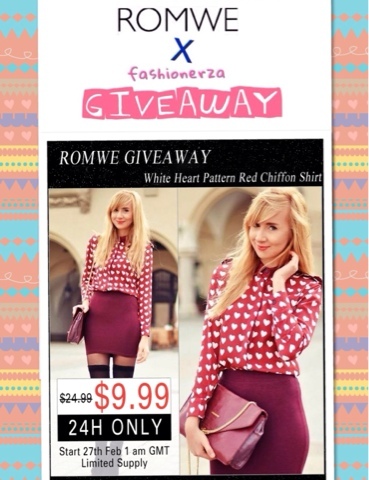 One lucky winner of Romwe heart shirt will be announced on March 5, 2014 Wednesday night. Comment your: I love it!